As many of you are aware, Ruff Diamonds is a strong advocate for raw feeding and when it comes to quality we want only the best for our dogs. This is why we are now stocking Organic Paws range of raw food products. All their products are certified organic through the Australian Certified Organic (ACO). This means that at every stage their ingredients were raised, grown, slaughtered, harvested, packaged and transported, they were thoroughly monitored and assessed by the ACO to ensure they were done so without the use of chemicals, synthetic hormones, antibiotics, toxic fertilizers, pesticides, bioengineering (GMOs) or irradiated. And that's about as good as you can get, we reckon. But don't take our word for it - check out the video of Cairo chomping down on it. He is thoroughly enjoying it. We thought we'd get him to taste test Organic Paws' newest product - ​Powerhouse Lamb & Chicken W’ Turmeric & Coconut Oil. And it went down a treat. Powerhouse Lamb & Chicken W’ Turmeric & Coconut Oil is nutrient dense and contains natural and powerful therapeutic properties. According to their website: "When combined, turmeric and coconut oil contain amazing anti-inflammatory, anti-viral, anti-bacterial, anti-fungal, wound healing and anti-cancer activities. These two ingredients alone are known to strengthen the immune system, aid with nutrient absorption, relieve chronic skin conditions, improve brain function and help relieve arthritic joint pain and stiffness". In other words, it's perfect for those too lazy to make their own Golden Paste! But seriously, we're all time poor and if you know you can buy a product that has all the necessaries already in it, doesn't it may life a lot easier? Lamb Meat - Full carcass lamb meat including all prime cuts eg. loin, rib and legs. High in protein, iron, zinc, selenium, vitamin B12, niacin and phosphorus. Chicken Meat - Quality chicken meat including breast. High in protein and rich in niacin, vitamin B6, phosphorus, potassium and selenium. Liver - Promotes healthy skin, teeth and eyes, supports immune system and boosts energy levels. Excellent source of vitamin A, iron, zinc, copper, B vitamins, vitamin C and D.
Kidney - Promotes strong bones, supports immune system and nutrient transportation to vital organs. High in protein, B vitamins, niacin, iron, selenium, copper and zinc. Heart - Supports cardiovascular, joint, digestive and connective tissue health. Very high in iron, selenium, zinc, phosphorus, niacin, and riboflavin. Green Tripe - A powerful probiotic keeping the gut healthy, purifies blood, aids digestive problems, skin conditions and helps boosts the immune system. Excellent source of essential nutrients, fatty acids, enzymes and beneficial bacteria. Ground Bone - Highly digestible source of calcium vital for strong teeth, bones and structure of joints. anti-viral, anti-bacterial, anti-fungal, wound healing and anti-cancer activities. Coconut Oil - One of the best sources of saturated fat on the planet, coconut oil is well known for its anti-bacterial, anti-microbial and anti-viral properties. Helps to promote a healthy heart, healthy brain function, strengthen the immune system and aid in digestion. We might add that when it comes to feeding offal, neither of my dogs are keen on kidney and I have never managed to hide it successfully in their food without them realising. However, with Powerhouse Lamb & Chicken W’ Turmeric & Coconut Oil, I have had no issue at all with them eating it ... in fact, they "wolf" it down!! So, the moral of the story is that if you feed raw but are too time poor to make your own, or you WANT to feed raw but find the thought of doing so too daunting and don't know where to start, then check out our Organic Paws range at organicpaws.com.au and email us today at ruffdiamondsdogservices@gmail.com to arrange delivery. As a holistic treatment and training business, Ruff Diamonds believes in feeding not only the brain but the body. That's why we are so proud to be a stockist for Organic Paws. We believe in their products and can't sing their praises enough. Today, we tested their Green Tripe Mini Balls. Well ... at least the dogs did. And they went down a treat. Green Tripe is one of our favourite foods to feed our pets. Not only are the balls packed full of probioitics, prebiotics and digestive enzymes, they also contain essential amino acids, vitamins and other nutrients. According to the Organic Paws website: "Its unique health-enhancing properties help to boost the immune system, purify the blood, and help remove harmful toxins and parasites. Fed daily also helps to balance hormones and enhance liver function, increase energy and vitality levels and enhance overall longevity. Perfect to help pets recover from digestive problems, skin conditions, poor gut and chronic ill health". I've been a huge advocate of green tripe for many years now but it's Organic Paws' mini balls I choose over all others. This is because these are not freeze-dried, they don't have to be reconstituted with water, and nor do they come in powdered form which is sprinkled over the foods. Now I'm not saying there is anything wrong with these other products. There's not and they are great, but if I want to ensure the benefits of green tripe are at their most enhanced, then I'm going to go with the product that has the least human intervention. That goes for anything we put into our bodies or that of our pets. The more processed, the less benefits. ​Lassie was a great communicator. With one bark he was able to tell his human companions that poor 11-year-old Jeff Miller had his foot stuck in the railway line and the 3 o'clock train was due any minute. With a couple of woofs and a handful of whines, Lassie could lead his co-stars to the disused well into which Jimbo had fallen trying to rescue his new puppy. And when Timmy was cornered by a ferocious cougar, well, who was on hand to run and find Gramps and his shotgun, and lead him back to scare the big cat away? Lassie, of course. But while Lassie was great at communicating danger to his two-footed friends, and while they were pretty good at realising when he'd been shot (bullet holes and blood), attacked by a pack of wolves (puncture wounds and blood) or had a thorn in his foot (limping and/or raised paw), were they any the wiser when poor Lassie tore the fibres in his sternocephalic and cleidocervical, after pulling Alfred out of the hole in the ice into which he fell one wintry night? No ... because they didn't know how. Aaahh … if only a Canine Myofunctional Therapist had lived up the road from Lassie things might have been different. A Canine Myofunctional Therapist would have realised straight away there was something wrong simply by observing Lassie's gait, his range of movement and by applying a flat-hand assessment of the region where upon she might have felt tightness or heat. She would have formulated, analysed and assessed (Rogers, 2008) the situation to determine what the problem was and how best to address it. A Canine Myofunctional Therapist could then have treated Lassie firstly with some effleurage to warm and soften the area, followed by some kneading, compression, petrissage and thumb fanning. She might have tried some multiple finger rotation on the area concerned (although the massage therapy would have covered the entire body), perhaps some stretching and leg rotation, or whatever else was necessary to get Lassie's tail wagging again. This is an example of why Canine Myofunctional Therapy (CMT) is such a valuable discipline. But to truly address why CMT is so beneficial it is necessary first to describe what it is and what it does. While massage has been around for more than 4000 years (the earliest documented case was in China in 2500BC according to Wikipedia, 2010), animal massage only really gained in popularity last century. CMT can be used for relaxation, rehabilitation or for working (eg herding, carting), sports/competition (eg agility, Schutzhund, lure coursing, flyball) dogs and its benefits range from simple relaxation to prevention of injury to recovery from injury. Not only can it treat specific health problems, it can also improve general health, having a benefit both physically and psychologically. (Hourdebaigt, 2007). In fact, CMT is a whole health package (Rogers, 2008) which has a variety of functions including improving circulation, reducing scar tissue, releasing tight muscles, eliminating waste and detoxifying, improving oxygen and lymphatic flow, lubricating the fascia and aiding organs to function better. However, a therapist might have hesitated to work on Lassie for a number of reasons. What if Lassie developed cancer or a malignant tumour due to the toxic fumes he inhaled while rescuing the baby pumas from the bush fire? Would we massage him then? No, as this would only increase blood flow to the region therefore aiding the spread of the disease. Other contraindications (reasons not to massage Lassie) would include a high temperature (39.5 C or over), fleas, shock, open wounds, haematoma, acute sprain, acute pain, inflammation, (Hourdebaight, 2004), recent fractures, ruptured vertebral discs, enlarged lymph glands, fresh scar tissue, fever, heat stroke or extreme debility (Fox, 2004). Other reasons might be the inability to apply body weight, a recent operation, recent long-distance travel, heart condition, infection and if the dog were on any type of medication. (Rogers, 2008) And, if Lassie were pregnant (although it should be noted here that Lassie was a boy). Of course, it is important to watch for feedback from the dog such as yawning, licking lips, ear flicks and tension. 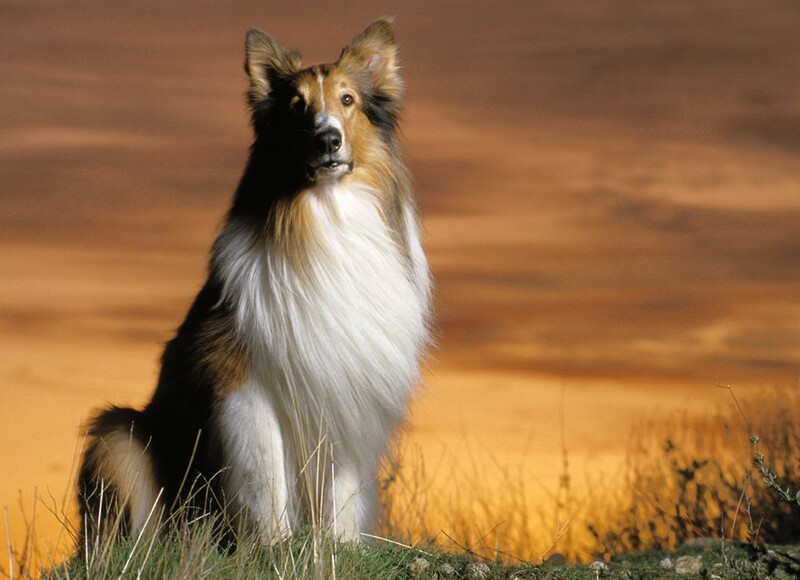 Lassie was not the type of dog who went around biting people but if he was in severe pain, and gave the Canine Myofunctional Therapist lots of physical warnings such as shying away from touch or curling the lip using the nasolabial levator (and perhaps a verbal one in the form of a growl) then it is not unlikely, if the therapist persisted, that he would follow through with a bite. It is helpful when massaging to have sensitive fingers. In fact, Hourdebaight (2009) identifies what he calls The Four Ts – temperature, texture, tenderness and tension when it comes to CMT. When beginning it is of benefit to close the eyes and try to connect with the dog, and to relax to enable the dog also to relax. A therapist who grabs a strange dog, throws it on the ground and attempts to massage immediately will not achieve a great deal except for a stressed, tense dog. Far better to spend a few minutes connecting with the dog and talking to it in a soothing, calming voice before embarking on any form of touching and even this initially should be light and gentle. A good therapist will be calm and patient, and they should talk to the owner to find out more about the dog including its age, performance history, any medical conditions, diet, sleeping arrangements and types of restraints used when (and, unfortunately in many cases, if) the dog is walked. A visual assessment should then be undertaken looking for any biomechanical faults such as an east-west narrow-based stance on the front legs or cow-hocked rear legs, but also such matters as over-long toenails which can unbalance the dog's gait. It is important to take into account here the breed of the dog and whether a particular gait or stance is actually considered normal for the type of dog. For example, a bulldog, by nature's design, is known to have a bandy leg stance in the hind legs. This however, would be abnormal in a greyhound, or indeed, Lassie, a Rough (Scottish) Collie. Before the therapist begins any massage he or she needs a good knowledge of the dog's anatomy and physiology to ensure the dog receives the greatest benefit from the treatment. The body is made up of 10 different systems – skeletal (bones, joints), muscular, cardiovascular, respiratory, digestive, nervous, excretory (urinary), endocrine (hormonal), integumentary (skin, glands, hair, nails) and reproductive (Paine, 2007). However, here we will mostly concern ourselves with skeletal and muscular, in particular, the superficial muscles. There are three muscle types – skeletal, smooth and cardiac. Superficial muscles are made up of 70 per cent water, 90 per cent fibre, 10 per cent blood vessels and connective tissue, along with nerves. (Rogers, 2008) ''Muscles consist of long fibrous tissues with stretching ability. Muscles move every part of the body and make up internal organs. There are about 600 muscles in the body'' (Fox, 2004, page 42). Muscle fibres can be either slow twitch (useful to a rottweiler, for example, for their endurance qualities) or fast twitch (useful to the likes of greyhounds for sudden bursts of speed). Tendons are positioned at the ends of the muscle and attach to the bone, whereas ligaments hold the skeleton together via a band of connective fibre to the bone. The origin and insertion refer to the least and most moveable parts (respectively) of the muscle as it attaches to the bone. They may 'stress' after heavy exercise thus creating stress points, which are mainly found in the tendon of origin and may feel like a hardened or rigid tissue that does not move under the fingers and may be slightly swollen. (Hourdebaight, 2004). ''Muscles are always arranged in opposing groups performing opposite actions … it is this type of interplay that produces the well-balanced, beautiful motion we love to see in dogs.'' (Hourdebaight, 2004, page 37) However, if this balance is off we see lame dogs or dogs which exhibit tension or shortness of stride and loss of range of movement. Contracture can cause spasms, stress points (microspasms) and also trigger points (a combination of lactic acid build up and nerve damage to the belly of the muscle) which can all be aided by the use of CMT. A Canine Myofunctional Therapist should also be on the look out for dog's with atrophy (under-developed muscles) and hypertrophy (over-large muscles). The benefits of massage to muscles is wide ranging including increased blood flow which leads to increased oxygen and nutrients, the relaxation of tense or contracted muscles and the release of adhesions, thereby gaining more mobility in the joints (nourished as the blood supply is increased and the loosening of adhesions in the joint's surrounding structure), more movement to the muscles and increasing range of movement (O'Keefe, 2003). According to Mumford (2009) massage helps muscles by stimulating normal body processes. Waste products such as lactic acid are released from muscle fibres, improving range of movement. Musculo-skeletal imbalances, caused by the environment, stress, activity, poor posture, illness, injury or breed defects, can also be addressed with CMT. And added bonus is the belief that massage will aid in the release of endorphins (the feel-good hormone) helping to inhibit pain for the dog. While massage will certainly benefit the dog, treatments may also include hydrotherapy along with hot and cold therapy, where appropriate. Stretching is also an important part of CMT, the benefits of which include flexibility, prevention of injury, stimulation of the metabolism and improved ROM. It also aids in helping the dog become more aware of its body (Hourdebaight 2004). It is important the dog is never stretched when it is cold and not warmed up properly as this can cause injury. In summary, we can be assured that CMT is a valuable discipline for the many reasons listed above. It can stretch soft tissue, relieve muscle tension, improve flexibility and range of movement, reduce muscle spasm and reduce formation of scar tissue. It also increases blood and lymph flow, increases oxygen and nutrients to the soft tissue, assists in removal of waste products, relieves pain and stimulates the nervous system, thereby benefiting sporting and working dogs, but also all dogs, big or small, young or old. It can be both stimulating and soothing depending on the speed and pressure applied. All just as Rogers (2008) asserts – a whole health package. And Lassie? Well … 'according to Hourdebaight (2004), massage treatments to collies should have particular emphasis to back, hips, flanks and abdomen due to the nature of the herding work. Yes, it's fair to say Lassie didn't know how to bark 'no'. If there was a sack of kittens about to be swept away in a torrent of water, even though he'd already saved little Jeff Miller from the train tracks and fought off the rabid wolf attacking Gramps - and he was dog-tired - he still would have dived into the raging river and pulled those five kittens to safety. That's just the kind of dog he was. So while Lassie was great at looking after the needs of others, what Lassie really needed was someone to look after him, especially if that someone was a Canine Myofunctional Therapist. It's a sure bet that if there had been a Canine Myofunctional Therapist living up the road from Lassie, little Jeff Miller might have found himself calling Lassie Come Home (movie, 1943) a lot more often. * With apologies to Lassie film and TV writers.